Great staff! Was able to test drive a 2012 Carrera S, wonderful car. Tom S., super guy, very helpful! We will be back! Jason was very helpful and accommodating very good at returning phone calls. 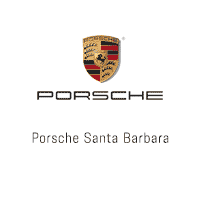 Every single person I have dealt with at Porsche of SB since buying my new Porsche has been awesome! I really appreciate Jason in service. Everyone is courtious, professional & kind. Jason in service was great! Topped me off with THREE quarts of oil and answered all my questions. Friendly and professional. We just purchased our third Porsche, a Cayenne S from SBAG and had a very enjoyable experience. Shane Koblis was a joy to work with and we love driving our new Cayenne S. Traded a BMW SUV and the Cayenne is by far a better vehicle.Can't wait to get delivery on our 911 that is ordered!Thank you Shane.